The LGBT festival made herstory for its number of drag performers on one stage. TORONTO — Justin Trudeau, who became the first sitting Canadian prime minister to march in an LGBT parade, wasn't the only one who made history at Pride Toronto. Drag queens and kings—73 of them—garnered the festival a Guinness World Record last weekend for the world's largest stage show of drag artists. This distinction was previously held by GSWS Columbus, who organized a show of 55 drag artists at an Ohio club in 2014. 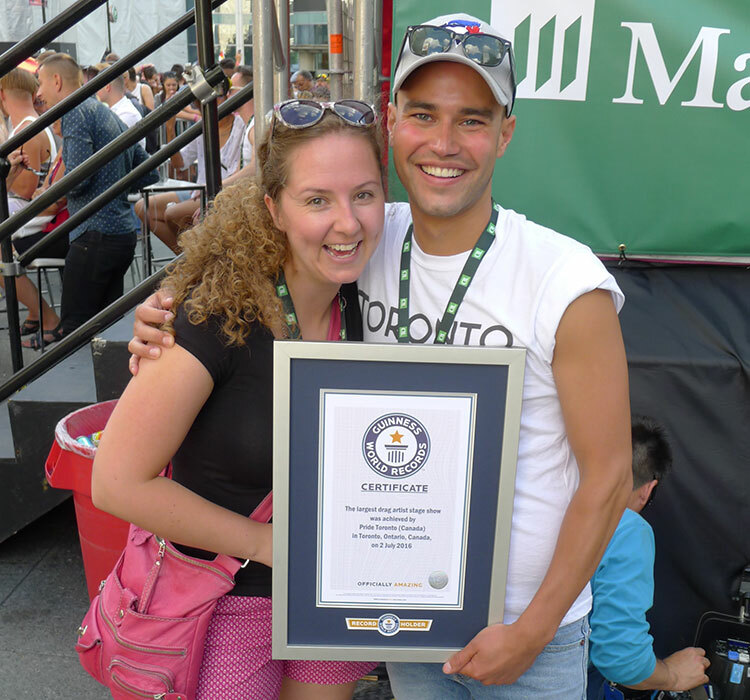 A Guinness representative announced the win last Saturday at around 6 p.m., after dozens of performers had lipsynched and performed choreography in Yonge-Dundas Square. The day-long event, Drag On!, was hosted by RuPaul's Drag Race's Bianca Del Rio and Lady Bunny. Mathieu Chantelois, Pride Toronto's executive director, remarked how the honor reflected the ambitions of the festival, which held events throughout the month of June. In addition to drag performers, Pride Toronto also attracted record-breaking crowds. Its Trans March alone attracted around 11,000 participants, making it the largest of its kind. The world's most famous drag queen, RuPaul, also took the main stage to deliver an empowering speech on the importance of Pride. 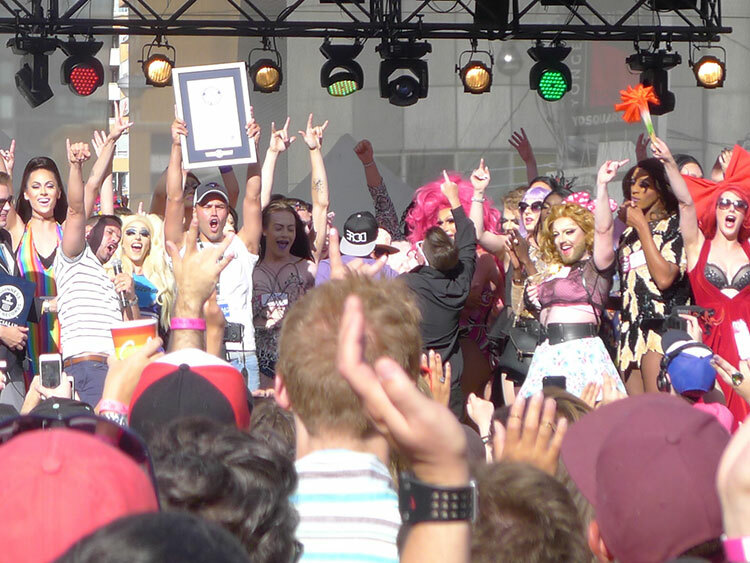 Watch dozens of drag performers win a Guiness World Record below.